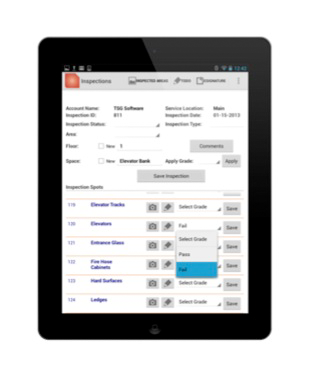 Quality audits are completed via tablet computers. Service locations are identified and the appropriate inspection criteria is displayed and ready for scoring based on the QC program established. All deficiencies and follow up tasks are captured and assigned to the appropriate team member. Tasks are tracked through completion. Audit reporting can be tailored to your needs while maintaining data integrity for Arthur Jackson trending analysis. Reports and other communications can be sent to your iMOPS Portal for review and requests.